Trans is an umbrella term that attempts to capture the complexity and diversity of gender identity and expression by those who go beyond gender boundaries. The term trans may encompass (but is not limited to) those who identify as transgender, genderqueer, trans, transsexual, non-binary, androgynous, agender, bigender, two spirit, and gender non-conforming. Trans people can be of any race, class, (dis)ability, faith, culture, sexual orientation, or citizenship status, and can have a vast variety of gender identities and expressions. 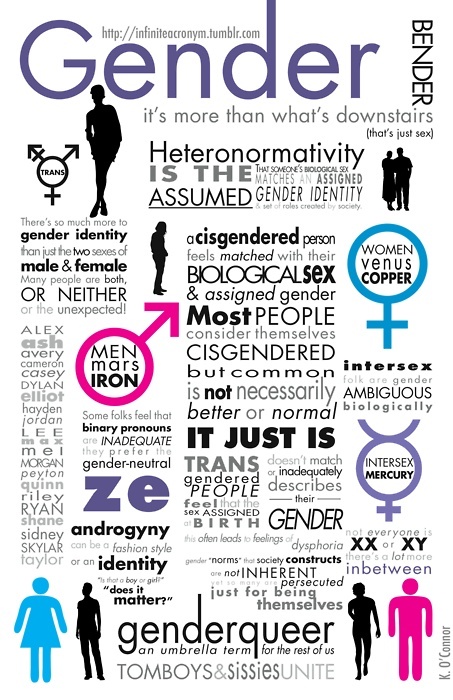 Trans does not necessarily encompass intersex identities, but some people who identify as intersex may also identify within the trans umbrella. Next: Why do we have to raise awareness?